The documentary film Born to Be Free exposed the cruel trade of marine mammals in Russia. The capture of orcas and belugas is taking place in the very remote locations in the Sea of Okhotsk - far from civilization, far from the eyes of people. Many animals die during the capture, but nobody can see it because it’s so inaccessible. Despite huge public outrage Federal Service for Supervision of Natural Resources approved total allowable catch quotas and issued permits for the capture in 2018. That was when we decided to conduct an emergency expeditions to the capture location. It have never been done before, but brave activists from Sakhalin group “Ocean Friends” prepared two small boats and took off to the unknown. Orca capture operators attacked volunteers, used guns to shoot a drone and robbed the camp. We were lucky to have the team back alive. Despite such extreme circumstances expedition was successful: volunteers collected a lot of important information and brought needed media attention to the problem in Russia. Volunteers also were able to stop the capture once, but unfortunately capture operators had bigger and faster boats and more resources. 4 commercial companies captured 12 orcas and 90 belugas. How many animals died during inhumanity capture process is simply unknown. Drone footage showed 90 belugas swimming in circles in tiny sea pens. That place was rightfully called the “Whale Jail” and sparked global outrage. Hundreds of people flooded authorities with letters, hundred thousands of people signed petitions to stop the capture and release the animals. General Prosecutor’s Office of the Russian Federation started investigation after review of letters from environmental activists and Internet publications about illegal capture and sale of 12 killer whales and 90 beluga whales kept in Primorsk district. that capture animals without intent to independently use them in accordance with cultural and educational plans. The companies that capture animals submitted applications for export permits immediately after the capture. The investigation committee opened a criminal case with charges on illegal capture of biological resources. The investigation is still on the way - orcas and belugas remain under custody of capture operators. Sakhalin non-profit organizations “Boomerang”, “Ocean Friends”, “Sakhalin Environment Watch” sued Federal Service for Supervision of Natural Resources over the approval of TAC (total allowable catch) for orcas in 2018 and won the case. 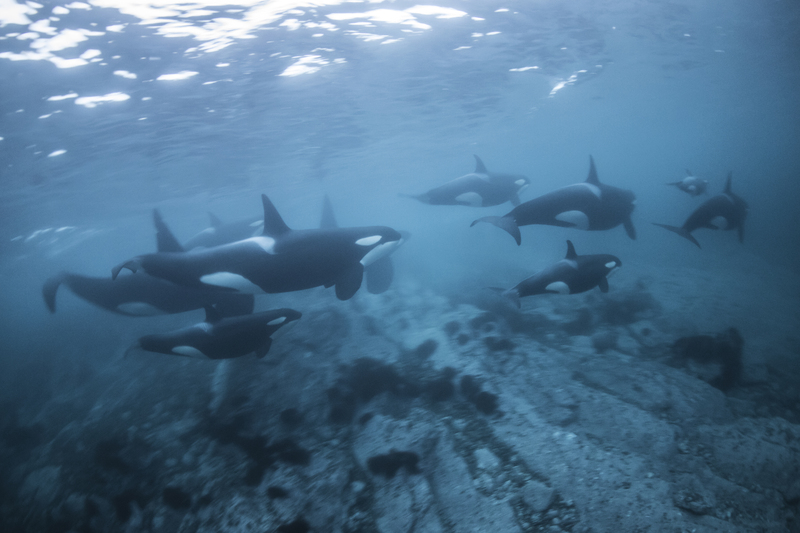 The court decided that approval of TAC for orcas was illegal. We started this campaign to free the Russian whales, who have not committed any crime, but have been imprisoned. 12 orcas and 90 belugas were illegally captured in the Sea of Okhotsk. All of these babies were stolen from families. At least 15 belugas are unweaned calves. This crime against the nature happened already and it is a tragedy, but we can still make things right. Russian government took a stand and recognized the issue, prevented export of these animals to China and started criminal investigation of the companies involved in the capture. We are asking Russian government to release the animals before it is too late. 2 orcas and 3 belugas disappeared already. Capture companies claim that one orca was released due to aggressive behavior, second one escaped and 3 belugas also escaped from sea pens, but it is more likely that the animals simply died. More will follow, but we can prevent it from happening. All orcas and belugas spent less than a year in the “Whale Jail”. Russian and International experts believe that all of them have good chances to be rehabilitated and released back into the wild. Team of experts with experience in rehabilitation are ready to offer help and expertise to prepare russian whales for release. This is unprecedented tragedy that could have a happy ending. We owe it to these remaining whales. It is the least we can do. LET'S FREE ORCAS AND BELUGAS. THEIR HOME IS IN THE OCEAN.